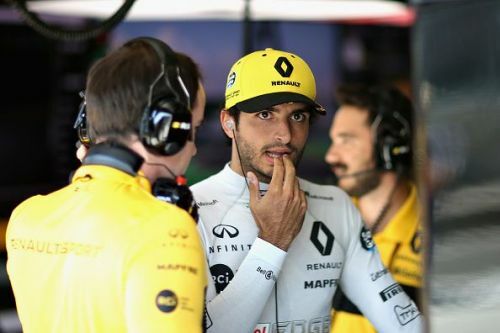 Carlos Sainz to McLaren for 2019? Could Carlos Sainz be partnering fellow Spaniard Fernando Alonso next season? That is the latest rumour heading around the paddock following the Hungarian Grand Prix last weekend. The Spanish driver future at Renault looks uncertain and rumours of Force India driver Esteban Ocon joining the team next year grow ever stronger so is a move to McLaren a possibility? Even though Sainz is still part of the Red Bull family he is unlikely to want to go back to Toro Rosso next year and with Daniel Ricciardo all but confirmed at Red Bull there does not seem to be an opportunity of a seat there. McLaren Chief Zak Brown told Sky Sports that Sainz would be high on McLaren's list should he leave Renault. "We think Carlos is an excellent race car driver," he said. "Of course Carlos is potentially on the market, I don't know his exact situation at Renault and Red Bull but he's certainly someone as you go down the shortlist of drivers that you'd consider putting in your car. If he was free, and if we had a seat, he would certainly be high up the list for a racing seat." Neither driver at McLaren is officially signed up for next season but with Stoffel Vandoorne having a tough first half of 2018 his seat is certainly the one under pressure for next year. Brown insists however that Vandoorne is still under consideration for the seat. "We do have a long-term agreement with Fernando and Stoffel but in these contracts, there's a variety of elements to them, We're still reviewing, analysing, what we think is ultimately the best line-up for McLaren moving forward." Also in the frame for the McLaren seat next season is young Brit Lando Norris. Currently second in Formula 2 behind fellow Brit and Mercedes test driver George Russell Norris is a driver McLaren cannot afford to lose to a rival team. "We want to keep Lando in the family," said Brown about the British driver. It will be interesting to see which way McLaren go for the 2019 season. Even though he is not tied down Alonso is seen as a must for McLaren next year with the other seat available to whoever they see as the best partner for Alonso to push the team further next year. McLaren are currently sitting seventh in the Constructors championship on 52 points, with Force India above them on 59 and Toro Rosso comfortably behind on 28 points. 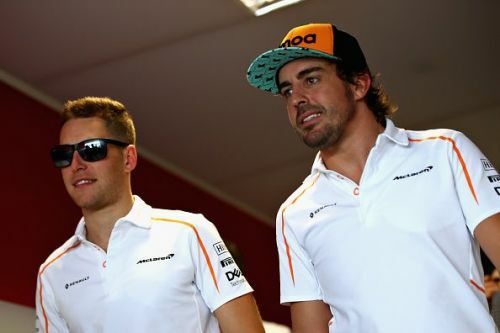 In the drivers, Fernando Alonso is ninth place on 44 points and teammate Stoffel Vandoorne is sixteenth on 8 points. How did Alonso's F1 cars pan out in terms of capability, reliability, speed?